Home >Blog >What’s New in Version 4.5? One of the most requested features (after the last update) on Pilot Poster is the ability to see the number members in a particular group. This will enable users to narrow down what group to post and filter out groups with a little number of members. 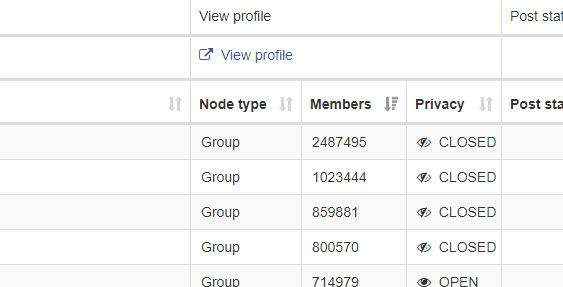 This we have solved in version 4.5 as you can now see the number of members in each group. Another major introduction in 4.5 is Facebook Group Auto Joiner, this will let you join groups on autopilot directly from Pilot Poster. You can join same groups for multiple Facebook accounts. Also, you can now export all groups from one account and import to join from another account. Version 4.5 comes with an improved Auto comment features with the ability to repeat and pause comments. Yes, that is exactly what Pilot Poster does. Do you have any difficulty achieving this? is there any way to post several links or posts during one schedule posts “one campaign” , so one FB account switch between links or post and don’t post same post or link and get blocked ? Yes, you can achieve this using spintax. Hola, no se puede agregar nuevos grupos a una publicación ya publicada. Debe detener el proceso de publicación y agregar los grupos antes de volver a publicar. Esto se debe a que hemos establecido una medida de seguridad que incluye un intervalo aleatorio. Esto también ha reducido significativamente la prohibición de Facebook. guys im getting blocked by facebook on my first post attempt. This could be because of the content you’re posting to Facebook. Kindly send your username to support@pilotposter.com so we can analyse. Olá, gostaria de saber, se eu tenho obrigatoriamente estar logado no meu Facebook e ao mesmo tempo no pilot poster para que as postagens sejam postadas? Ou posso sair de ambos e as postagens vão continuar sendo postadas mesmo eu não estando logado no Facebook e no pilot poster? Você não precisa estar logado no Facebook para usar o Poster Piloto, exceto quando você está autenticando um aplicativo como o sentido HTC. Além disso, você pode sair do Pilot Poster se você usar a função de esquema. Do we already have tutorial btw? hola, tengo un único problema desde hace días y es que no puedo subir fotos o modificarlas. Cuándo va a funcionar ?? Hola, puede cargar videos en su sitio web o en los sitios web de alojamiento de videos y copiar la URL en el campo de URL de video de Pilot Poster. cuando lo programo al face inmediamente el face me piede cambiar clave y no era asi antes que paso’?? Tu pregunta no está clara, ¿puedes explicar mejor? ami no me funciona a alguien le funciona ?? Hola, ¿pueden aclarar qué no funciona? Can you please help me I cannot attached images to my adds. It says that its not part of my account. please advise me on how to get it fixed and step by step? What happens when a group that the account is already joined to is repeated in the new auto join group request list? Yes, it will be skipped. is it possible to have my status 1 posted today along with link image 1, my status 3 posted tomorrow along with image link 3, and my status 2 posted after tomorrow along with link image 3 ? Hello, this feature is already available using spintax just as you’ve used in the example above. Please, tell us more about spintax, we have no idea yet concerning spintax. please teach me how to join groups in auto joiner? 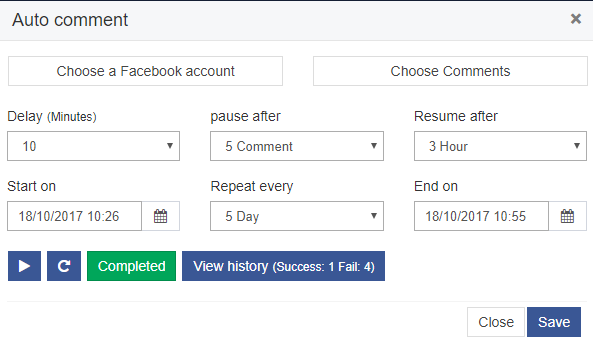 Hello pilot poster, how can i update my facebook account to avoid errors? Hello, Goto Settings > Facebook Accounts > Click the Update button for all accounts. You do not need to download anything. Can you clarify your question? Where is the auto comment at? I cant seem to find it. It would really help if you could give us users video tutorials of the latest updates to the Pilotposter app. Hello, we’ll release tutorials for new functions soon. hi it would be wonderful if we users were given full video tutorials of the latest updated functions in the pilot poster app. Hello, Kindly check your timezone and your schedule settings. for some reason after i configure Auto Comment to run, it will not save. “unable to save” error keeps showing up. i set time, selected FB accts. to use. set start and end, still won’t save. Same here! I tried saving my auto comment scheduling on several adjustment but same error keeps on displaying. Even when leave it on “ONCE” then I tried saving it, the system shows “you can’t leave the start and end date empty! I suggest when it’s set to “ONCE, there shouldn’t be need for the “End date and time. And I also noticed from the previous auto comment version that, for the selected accounts to be able to comment, the account have to belong to the same group as one of the group joined member, I don’t know if I’m sure.. Because it seems like facebook has limit post from a group within the members alone. Hello, the issue is now fixed. Kindly check. You cannot comment in groups that you’re not a member of. All accounts must be members of the groups you’re scheduling comments. Salve mi sono iscritto da poco al vostro servizio ,so che la richiesta è stupida ,ma avete pensato anche a chi non conosce l’inglese? hihihihih c’è modo di cambiare la lingua in italiano? Ciao, il sistema ha attualmente 13 lingue. Purtroppo, non abbiamo ancora la traduzione in italiano. Le traduzioni sono fatte da volontari e non abbiamo ancora ricevuto richiesta da un traduttore italiano. 2, The ability to identify previously left or deleted groups when conducting new auto join search. But still, I still wondering why posting to fb pages are now like a hurtcake.. Very very annoying, please what will be the way out? We’re loosing huge millions of prospects from there, any solution in future? Hello Sabastine, We’ll consider your suggestions. Thank you. amount of minutes after the last comment made (for each individual group)? We’ll release a detailed tutorial soon. For now, I hope you understand my brief explanation.